We offer best SAP Business ONE EDI Integration that manage your entire business – from sales and customer relationships to financials. SAP Business One EDI Integration – When you supply a major retailer, it pays to do things their way. So when they request – or even merely favour – to coordinate precisely with your warehousing system to contour their ordering and fulfilment needs, the primary concern is how we can it can be done and in a most affordable and optimized way. Amosoft can solve all your SAP Business One EDI Integration requisites. EDI Integration with SAP Business One enables you to receive orders from your clients without any difficulty. Amosoft makes it easy to install & utilize it with just one icon on your desktop. Your transactions will be explicitly sent to us, so we can ensure everything is legitimately set before we send it to your merchant partners. Our SAP Business One EDI Integration is very simple to use and best to practice in your organization. After EDI Integration, you can deal with the charge-backs as it will eliminate all data entry when sending or receiving any EDI transactions. All the partner requirements will be matched, verified and only after that data will be processed. Apparently, a proficient Electronic Data Interchange (EDI) solution can help you in different ways, as well. As your business and your request volumes grow potentially higher, conquering any hindrance between all the unique business management solutions used by your merchant partners makes your operation more organized. You can accomplish considerable cost funds and expanded consumer loyalty by streamlining requesting, warehousing, logistics, replenishment, delivery, and reporting. What's more, accepting a minimal effort of ownership can likewise make your activity increasingly gainful. A complete EDI solution is no small task. GS1, EAN, ASNs, SSCC labels, filter packing. The prerequisites soon add up. So similarly as it pays to have an EDI solution, in the first place, it additionally pays to have that arrangement structured and executed by somebody with a good number of experience and world-class ERP items, and a reputation for doing it right. Why choose Amosoft for your SAP Business One EDI Integration Needs? The group at Amosoft has a good experience away at EDI ventures for a significant number of the clients, small and medium-sized enterprises, and in a different niche, including food, chemical, IT, gadgets and building materials. So we comprehend the test of various report and information trade configurations, and we realize how to overcome it. In like manner, we recognize how to deal with freight management, delay purchase rules, 3PL, retailer distribution and revealing issues that fundamentally emerge in any EDI execution. End-to-end EDI solution for SAP Business One created and bolstered by our experienced team. Our Platform incorporates the four parts required for a start to finish EDI solution: an electronic EDI interpreter, data mapping and integrating it, network connectivity and consistent client support. The EDI Solution of SAP Business ONE entirely underpins ASNs, including flexible auto-pack options explicit to the client or the thing, and can solidify shipments upon import. 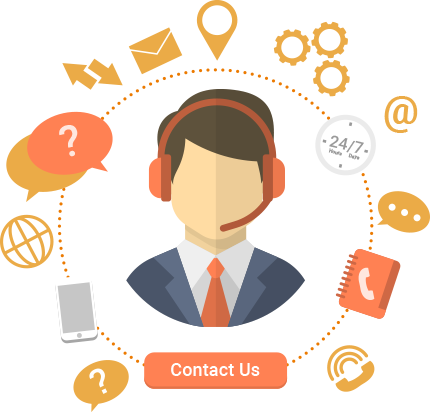 Sales, invoicing, creation, planning, and shipping data are on the whole completely incorporated and accommodated, disposing of any requirement for manual intercession. Good returns on your SAP Business One venture by incorporating EDI information to automate all types of order fulﬁlment and reporting of all the data increase your business capabilities. Consistent information incorporation using web services empowered by EDI helps in saving some reasonable amount of time and money. After SAP Business One EDI Integration, the proficiency of the work gets promoted a lot as there is 100% accurate data and all business process will get streamlined. SAP Business One clients can expect a completely coordinated and consistent sales integration from Amosoft. Utilizing the local SAP Business One Data Interface API, our solution gives perfect combination for sales orders, sales invoices, credit reminders, and ASNs, as well as other related records, for example, acknowledgments for purchase orders, memos for credits and much more. End to End Solution with Built-In Process Controls. Our Platform incorporates the four parts required for a start to finish EDI solution: an electronic EDI interpreter, data mapping and integrating it, network connectivity and consistent client support. Unit estimating, duplicate purchase order numbers, and things are discretionary process controls that can be set per client and need to be approved before preparing exchanges to SAP Business One. Likewise, before sending EDI transactions, fields are recommended for precision. On the off chance that fields have missing information, our Transaction Manager will advise you through email and also spotlight those fields that should be refreshed. The EDI Solution of SAP Business ONE entirely underpins ASNs, including flexible auto-pack options explicit to the client or the thing, and can solidify shipments upon import. Auto-pack alternatives incorporate no-pack, pick-and-pack, and standard. You can auto-pack shipments by the specific packaging rules and as well as support mixed-carton, drop-ship, and pure-carton options. Automate integrated transactions with Transaction Manager and SAP Business One through the Amosoft Scheduler. This extra component enables you to set up scheduled events for coordinated sales reports, for example, sending out purchase orders from the Transaction Manager and bringing in solicitations from SAP Business One. When these occasions are booked, Amosoft Scheduler will naturally process your archives without either application being opened. Exchange Manager will inform you are utilizing the email if exemptions happen – worked in process controls keep you on track with the goal that you can concentrate on other critical regions of your business.